New York City was as exciting, glamorous and absolutely fabulous as I’d always hoped! 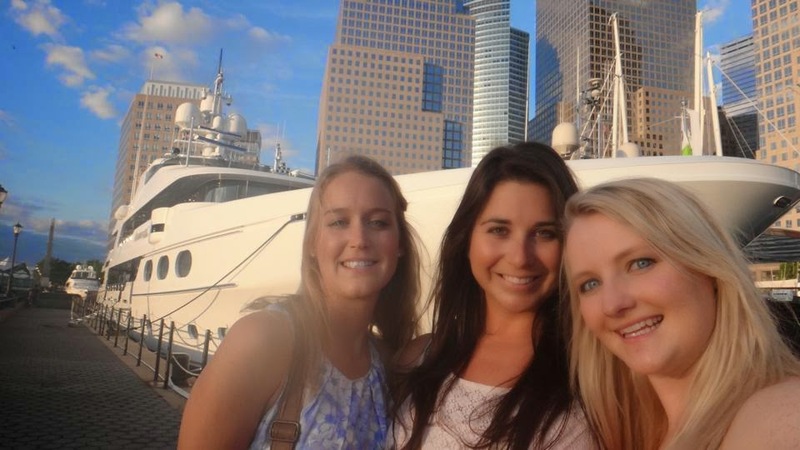 We jumped at the opportunity to take a luxury sunset cocktail cruise on a beautiful schooner yacht that cruised along the Hudson taking in all that the New York City skyline had to offer. It was simply perfect as we sailed along with cocktails in hand watching the sunset. The Shearwater is a beautiful 82ft schooner yacht that is operated by Manhattan by Sail, departing from Lower Manhattan’s North Cove Marina. 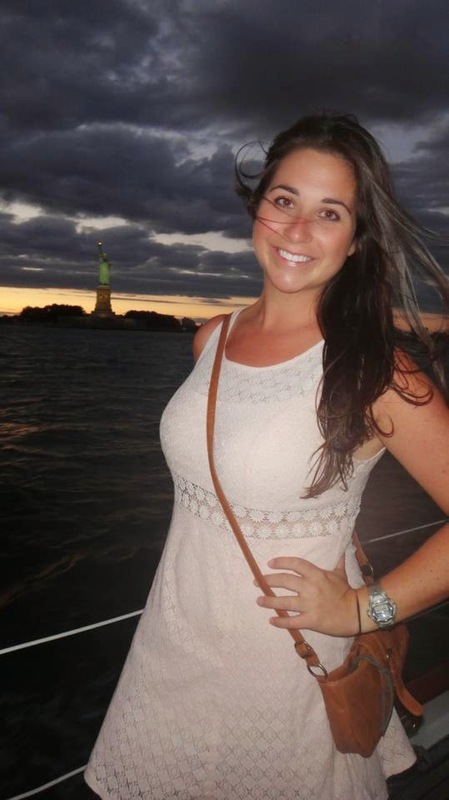 This provides both visitors and locals alike the chance to experience a intimate, relaxing cruise that allows you the perfect opportunity to relax and take in the breathtaking New York City skyline whilst sailing along the Hudson. 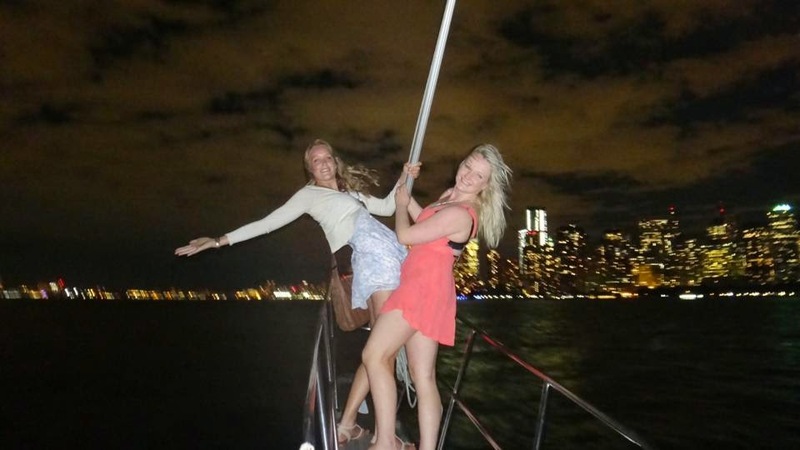 The boat comfortably accommodates up to 48 passengers, however on our beautiful clear night in New York we were lucky enough to have only 12 fellow passengers which provided the perfect chance to roam around the boat and explore both above and below the deck! We were lucky enough to take part in the 2 hour sunset cocktail cruise where you are provided with two delicious cocktails and were also also given a number of tastings of whiskey sourced from a local whiskey distillery. The cruise departs while it is still light, and you witness a beautiful sunset and watch as the city and iconic bridges light up. 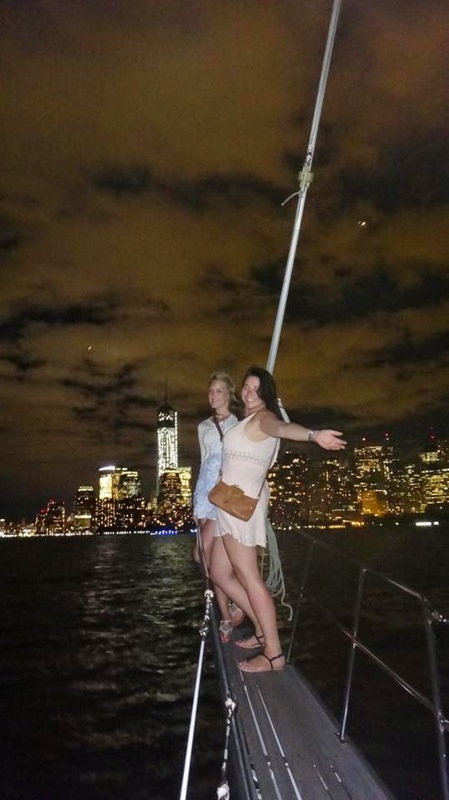 Manhattan by Sail sums up the experience perfectly on their website: “watch night fall on the city as the sun sets behind the Statue of Liberty from the unbeatable vantage point of the harbour”. The Statue of Liberty is especially captivating and you are provided with an incredible close up of this iconic monument and are provided with plentiful opportunities to take stunning photos throughout the cruise. The sunset cocktail cruise aboard the Shearwater was definitely a highlight of our trip to New York City and I would highly recommend it to anyone visiting the Big Apple! The staff were friendly, fun, informative and professional and made it a great experience overall.